The Jeep Logo Tire Cover from Mopar is made of a Black Vinyl with gray Jeep Logo and features an elastic anchor to securely hold the cover on the tire. 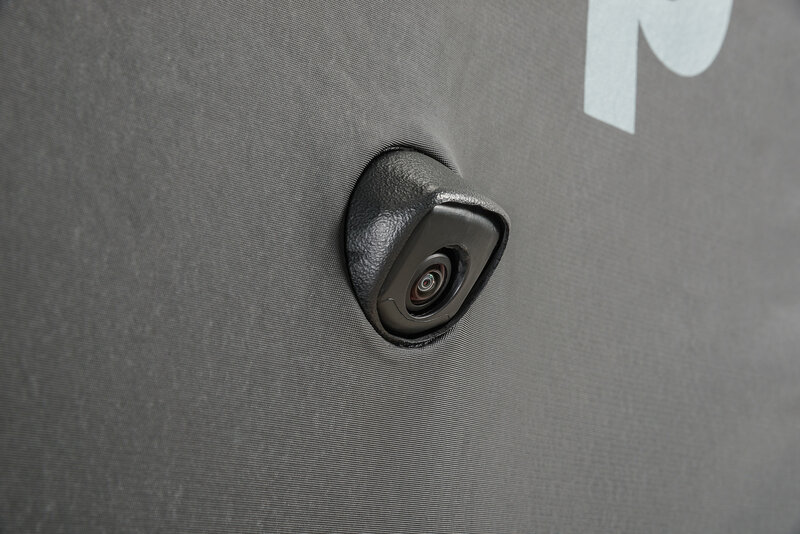 The built in plastic collar for around the rear view camera helps to center the tire cover in place. These covers are custom fit for 32" tires (245/75R17 and 255/70R18) and are designed specifically for the Wrangler JL's backup camera.